Cartilage is a very precious and delicate tissue. It is a connective tissue mainly composed of water, collagen fibers and hyaluronic acid. Its structure is extremely smooth and elastic, this kind of conformation allows a fluid movement of the different joints of our body. In detail, its fundamental aim is to assure movement’s processes without friction and to absorb and make softer loads that our body has to face daily. Unfortunately, as every constituent of our body, also cartilage is subject to an inevitable process of decay. 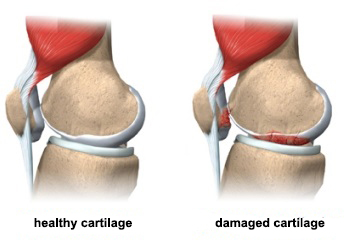 Over the years cartilage progressively reduces its amount of water, loosing its elasticity; but aging is not the only reason of deterioration, its damage can also be provoked by traumatic events or an intense and prolonged sport activity. The main problem is that our organism is not able to reproduce the same kind of tissue of the lesioned cartilage. The lesioned tissue, is not vascularized, for this reason it is not able to produce hyaline cartilage, as it was able to do in the past, now it can only produce fibres of cartilagen that are less smooth and less elastic of the previous one. The decline of cartilage tissue can lead to several consequences, one of the most meaningful is arthrosis. Once that cartilage gets thinner, loosing its primary proprieties, the bone gets exposed, this situation causes pain also when you make basic movements. Yes, there are several solutions. 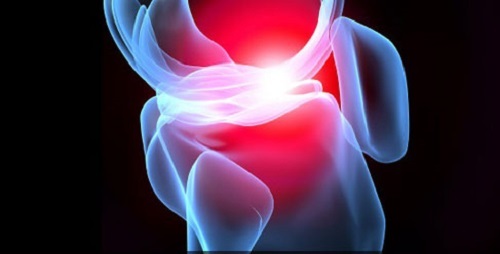 When cartilage is damaged by a trauma, the first responsible of riparation is our body. If this riparation is not enough or cartilage already results too much decayed, you can also have some surgical intervention, but once that hyaline cartilage is ruined, it will not be any other possibility to recreate it or to substitute it. Recovery time after surgery is quite long, from 2 to 4 months for starting again normal activity and at least 10 months before you can start again sport activities. After the operation, during the months immediatly consecutive, it is indispensable to satrt as soon as possible, a focused and meticolous work of muscular strengthen combined with sessions of physiotherapy equipment. This last one may include magnetic therapy, it reduces swelling, so obviously also pain, of the interested area. It can be used both for the prevention, either as part of the post-operative therapy, has curative effect, regenerative, anti-inflammatory and anti-edemico for the improvement of joint cartilage and soft tissue.